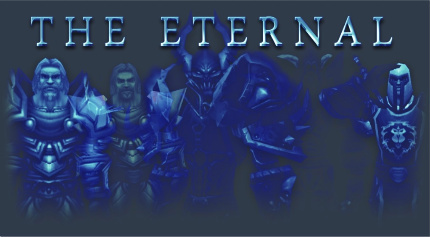 As you all have seen with the recent redo of Dominion to Impact-WoW all the guilds have been wiped meaning the Eternal doesn't exist on Dominion anymore. I'll be online for the next few hours. If you see me on, come to me so that you can sign the guild charter to bring the guild back. Please and thank you. However, it would save time if Mr. Bel could use his GM powers to recreate our guild, but I'm not sure if that's allowed. Anyway, just contact me in game and come sign this charter if you're still around.